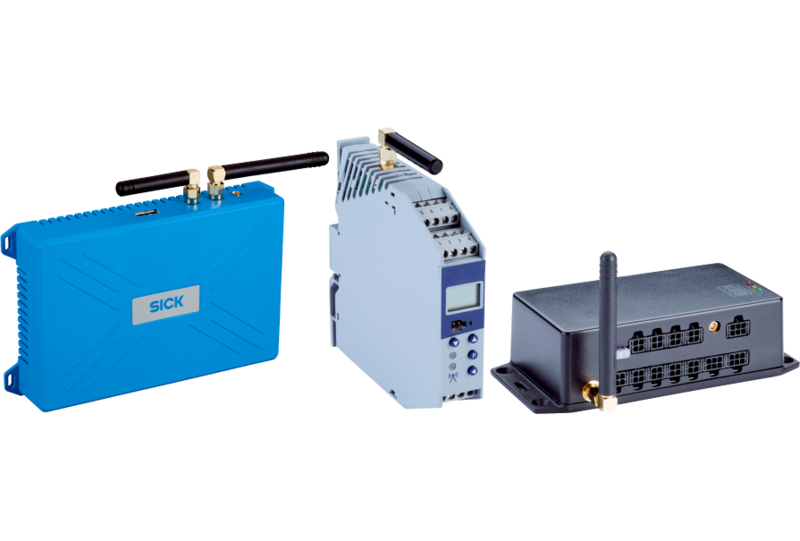 The TDC (Telematic Data Collector) gateway system is an open IIoT platform that links sensors and machines together for reliable network communication. As well as transmitting data to the target platform via a wired, mobile or wireless connection, the TDC also has data processing capability. Data can therefore be analyzed and evaluated locally (edge computing). With digital inputs and outputs, user-defined real-time alarms (SMS notifications) can be set based on relevant data. Process, status and diagnostic information is made more transparent, increasing the productivity and efficiency of industrial processes. SICK offers customer-specific cloud solutions (SaaS) for this purpose.